Our Japrag Denim is a rugged cotton twill textile, in which the weft passes under two (twi- “double”) or more warp threads. This twill weaving produces the familiar diagonal ribbing of the fabric, which distinguishes Japrag Denim from other cotton jeans.It is characteristic of most Japrag Jeans that only the warp threads are dyed, whereas the weft threads remain plain white. As a result of the warp-faced twill weaving, one side of the fabric shows the blue warp threads, the other side shows the white weft threads. This is why japrag Denim are more white on the inside and what makes denim’s fading characteristics unique compared to every other regular Jeans. At Moistmelrose we proudly feature exclusive and hard to find design clothing for men. Each specific design is hand selected and represent the newest fashion. Our collection range from shirts, jeans, jackets, and hats. Moistmelrose is mainly for fashion conscious individual that would rather not blend in with the crowd. 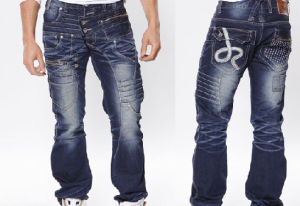 The Japrag jeans feature a four button enclosure, triple belt loop, embroidered logo, riveted side and back pockets. They have a straight leg fit and a low-rise waist. At Moistmelrose we proudly feature exclusive and hard to find design clothing for men. Each specific design is hand selected and represent the newest fashion. Our collection range from shirts, jeans, jackets, and hats. Moistmelrose is mainly for fashion conscious individual that would rather not blend in with the crowd. If you will keep some of these tips in mind, you will significantly extend time being of that pair of Japrag denim with minimal effort. 1)Do wash the jeans inside out The first time you wash your jeans, wash them alone. After that, it’s a good idea to wash them inside out, as this is the best possible way to maintain their color and overall look. 2)Always look for caring instructions Always wash your jeans in cold water. It will prevent them from fading and from shrinking but especially if you use special cold water detergent and a high efficiency washer they still get clean. 3)Remember don’t put jeans in the dryer Always lay your jeans on a towel to dry or, if possible, hang them with clothes pins so that no part of the jean is folded over. 4)Important to wash the jeans before hemming them Washing before hemming will put the denim through any initial shrinking before you take more away. Just to be safe, though, take off a little less than necessary when having them hemmed. If you need an inch taken off, go for two-thirds of an inch instead, which will buffer any future shrinkage. Our Featured denim are a premium design Japrag that features only high quality man design that’s unlike any other designers. 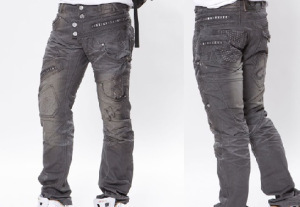 They bold stitching and multiple buttons with several pockets have made these jeans a work of art. When you are looking for edge cutting denim then Japrag is the number one eclusively. All item purchased by Moistmelrose .com are guarantee to be 100% authentic. With the level of detail and durability of the product that you will found in each pair of Japrag denim from design patterns to the etching of the buttons. 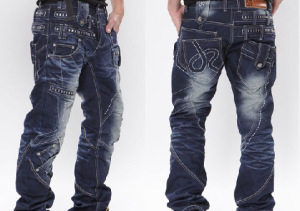 Japrag jeans offers great value for the money to buyers of the brand just from an economics perspective. The future as the brand’s awareness will continues to grow, but for now, the modest price # for Japrag jeans is a huge win for the consumers at this point. Japrag jeans, are designed by Okishana Samoki. Japrag Jeans are an originally independent French label that started from Paris France and then Los Angeles. The look of Japrag brings a unique urban styling to denim that no other brand for now can match. 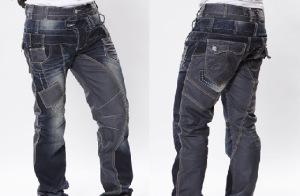 Buyer you are being warned…be ware Japrag denim will without doubt get you noticed. By wearing Japrag denim you will draw the eyes upon you from who ever is around you. Get used to it. Handling this much attention does requires confidence, and pulling off this look requires a degree of sway. A lot of Japrag client a are members of the entertainment and fashion industry along with celebrities wearing the brand. MoistMelrose can and will provides shopping comparison on a large range of products. At MoistMelrose since we carry in the shop a lot more merchandize that is showcased on the website we cannot represent it all here we highly recommend that you call in the shop by phone or in person. Moistmelrose.com is now your authorized dealer and number one destination for Japrag Jeans – offering one the largest selection in the city.